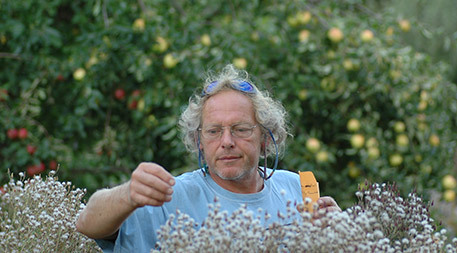 Frank Morton has been breeding lettuce since the 1980s. 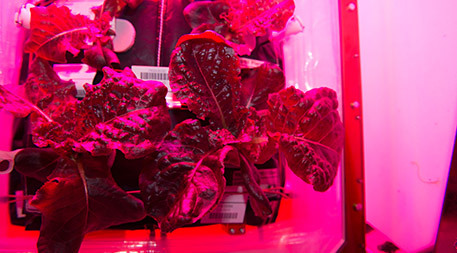 His company offers 114 varieties, among them Outredgeous, which last year became the first plant that NASA astronauts grew and ate in space. For nearly 20 years, Morton’s work was limited only by his imagination and by how many different kinds of lettuce he could get his hands on. But in the early 2000s, he started noticing more and more lettuces were patented, meaning he would not be able to use them for breeding. 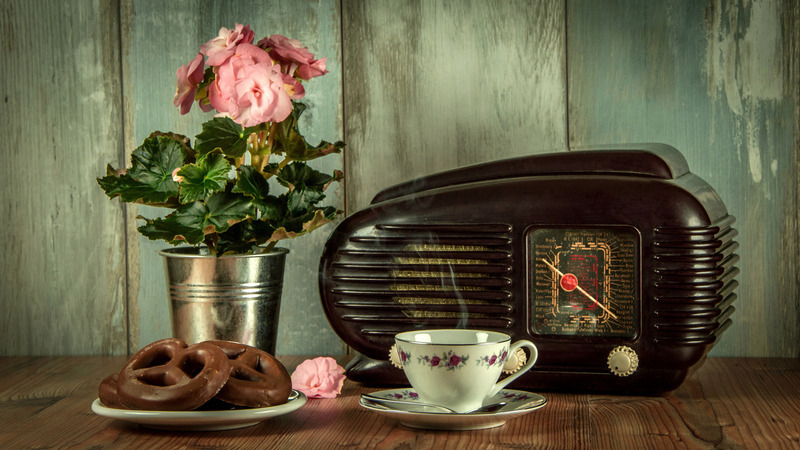 The patents weren’t just for different types of lettuce, but specific traits such as resistance to a disease, a particular shade of red or green, or curliness of the leaf. Such patents have increased in the years since, and are encroaching on a growing range of crops, from corn to carrots — a trend that has plant breeders, environmentalists and food security experts concerned about the future of the food production. A determined fellow dedicated to the millennia-old tradition of plant breeding, Morton still breeds lettuce — it just takes longer, because more restrictions make it harder for him to do his work. “It’s just a rock in the river and I’m floating around it. That’s basically what we have to do, but it breaks the breeding tradition,” he says. “I think these lettuce patents are overreaching and if they [were to hold up in court], nobody can breed a new lettuce anymore because all the traits have been claimed.” He continues to work with what is available, breeding for traits he desires while being extra careful to avoid any material restricted by intellectual property rights. He has also joined a movement that is growing in the U.S. and around the world: “open source” breeding. If the term sounds like it belongs in the tech world more than in plant breeding, that’s no accident. 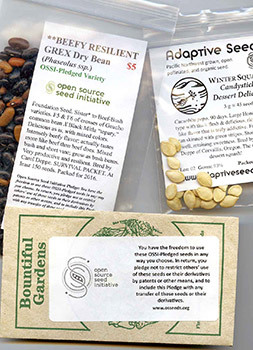 The Open Source Seed Initiative, inspired by “the free and open source software movement that has provided alternatives to proprietary software,” was created to ensure that some plant varieties and genes will remain free from intellectual property rights and available for plant breeders in perpetuity. As part of the initiative, commonly known as OSSI, U.S. breeders can take a pledge that commits the seeds they produce to remain available for others to use for breeding in the future. That doesn’t mean they can’t build a business with or sell them. What the pledge does is allow farmers who buy seeds from an open-source breeder to cross them with other material to breed their own varieties and save them for future seasons — two things many crop patents forbid. Dozens of breeders and seed companies have committed to OSSI since the initiative’s launch in 2014. For University of Wisconsin–Madison professor emeritus and OSSI board member Jack Kloppenburg, control of seeds and the ability to breed new crops are matters of both food security and environmental protection. 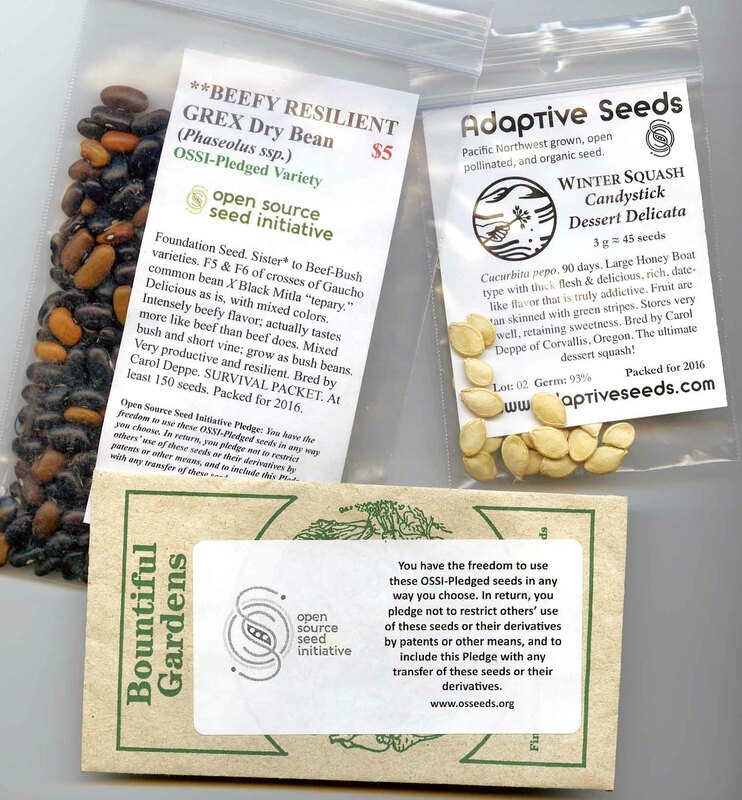 Seeds play a role in larger issues like biodiversity, farmers’ rights, control of the food system and use of agricultural chemicals, which many independent breeders try to avoid or reduce by breeding natural resistance into crops themselves. OSSI supporters argue that as planting material becomes more restricted through intellectual property rights, the future of the food supply is compromised because the gene pool is continually shrinking. OSSI executive director Claire Luby, whose Ph.D. thesis focused on genetic variation and availability within carrots, found that about one-third of all carrot material has been protected by intellectual property rights, rendering it unavailable or difficult for plant breeders to use. Similar estimates do not yet exist for other crops, but experts such as Luby are confidentthat big commodity crops such as corn are even more heavily impacted than crops such as lettuce and carrots. Growers breed plants to selectively express desirable traits — from those that will improve a crop’s taste or color, to those that help crops thrive in certain environments and resist threats such as pests or disease. Opponents of crop-trait patents say the increase in patents is shrinking the catalog of plant material available to breeders at a time when the need for genetic diversity is greater than ever, thanks to the less-predictable conditions brought on by climate change. While a handful of medium-sized companies (those with international markets but smaller than, say, Monsanto) hold patents, most smaller seed companies are able to survive without patenting — they either are opposed to the practice, have decided the process is too costly to be worthwhile, or both.